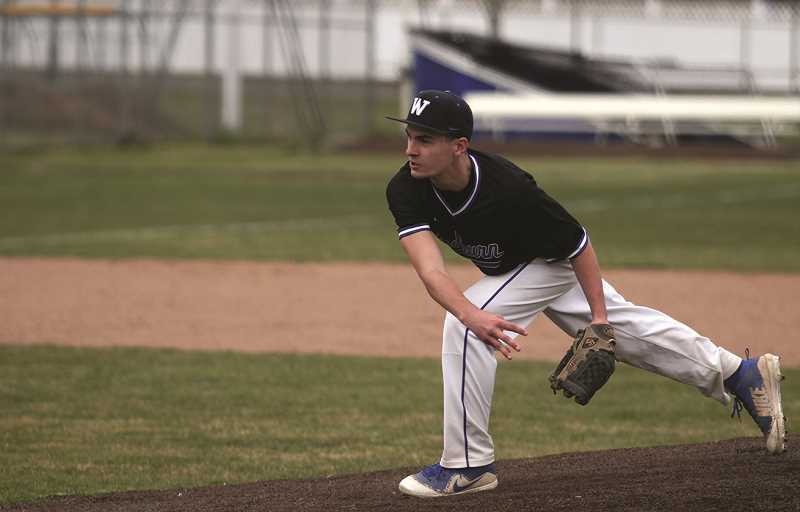 The Woodburn baseball program continues to blaze new trails this season after the Bulldogs wrapped up a successful trip to Franklin High School in Portland last week. 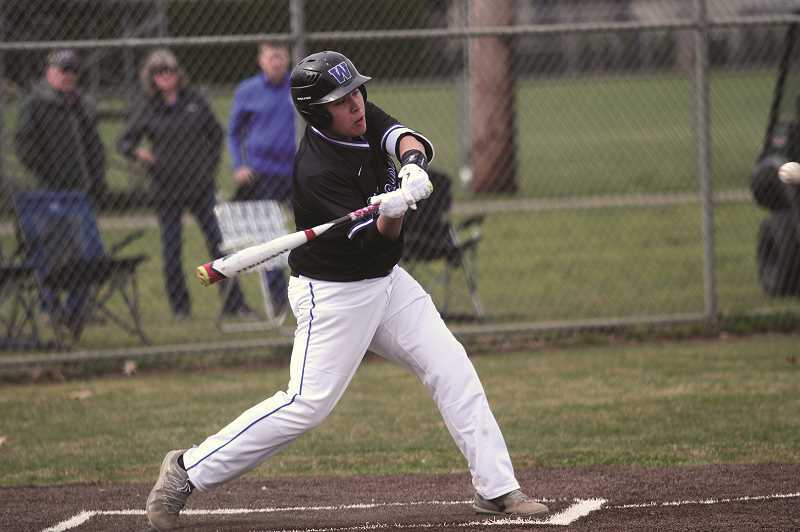 Woodburn (4-4, 0-2 Oregon West) went 3-0 over spring break, posting a 6-1 win over Benson on March 25, followed by a 4-2 victory against the hosting Quakers on March 26 and closing with a 14-0 victory against Roosevelt on Thursday. In doing so, the Bulldogs continued to add to a series of firsts this season. Woodburn had already logged its first varsity win since 2016 after defeating the Molalla Indians 4-2 on March 15. The consecutive wins in Portland mark the first three-game win streak for the Bulldogs since the OSAA reclassified to six classifications in 2006, while the team's 14-0 win over the Roosevelt Roughriders on Thursday gave Woodburn its first shutout since 2013. Junior pitcher Jose Ortiz made short work of the Roosevelt lineup on Thursday, striking out 11 while giving up just three hits in a five-inning shut out over the Roughriders. The Bulldogs came into the game on the heels of two close games to open the PIL/FHS Tournament hosted by the Quakers, but their bats came alive in the closing game, erupting for 14 runs in the second and third inning. After both teams opened with scoreless frames in the first inning, the Bulldogs — who acted as the home team — took off in the second when sophomore Gavino Murillo hit a hard ground ball up the right side of the infield for a bases loaded double that drove in teammates Carter Nelson and Michael Masters. Will Peterson struck out in the next at-bat to record the first out, but Ethan Ing followed by getting hit by a pitch to load the bases for Ortiz, who doubled to left field score Roberto Ramirez and Murillo. Jaden Bellman struck out to make it two outs, but Ing stole home on the next at-bat, and Reese Miller drove in Ortiz to make it a 6-0 game. Nelson struck out to end the rally, but the Bulldogs picked up where they left off in the third inning. Murillo drove in Masters, and Ortiz hit a bases-loaded double to score Peterson and Murillo. Miller, Ortiz, Nelson and Ramirez each followed with RBI base hits to bring the score to its final 14-0 margin of victory. In addition to his strong game on the mound, Ortiz had a big game offensively for the Bulldogs , going 2-for-3 with four RBIs and two runs scored. Masters was 3-for-3 with three runs scored and a pair of runs batted in, while Murillo was 2-for-3 with three RBIs and two runs scored. Nelson and Ing each scored twice for the Bulldogs. After falling behind 1-0 early against the Quakers, the Bulldogs scored four runs late and withstood a Franklin rally to pull out the victory. Ramirez connected on a ground ball to right field to score Nelson in the fifth to tie the game at 1-1, and the Bulldogs added three more runs in the sixth to take a 4-1 lead. Franklin added a run in the bottom of the seventh on a pop fly, but the Bulldogs threw out an advancing runner to second on the play to end the game. Masters and Jackson Picket combined to give up two hits and one earned run while striking out three. Ramirez, Nelson and Ortiz each led the team with two hits, while Ramirez drove in a pair of runs. Ortiz struck out seven and gave up two hits in a complete game on the mound, while the Bulldogs racked up eight walks to put pressure on the Techmen, scoring in each of the first four innings to take the win.